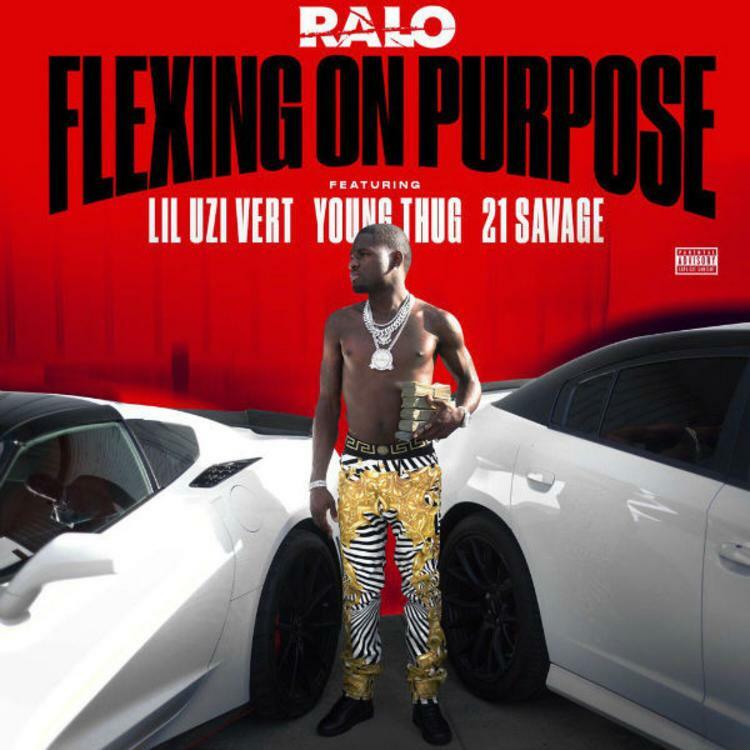 Ralo unleashes a monster collab, "Flexin on Purpose," featuring Young Thug, Lil Uzi Vert, and 21 Savage. Ralo is "Flexin on Purpose," and on his new single, he's enlisted three of the hottest rappers in the game to prove it. "Flexin on Purpose," the first single off Diary of the Streets II, the sequel to Ralo's November mixtape, features Young Thug, Lil Uzi Vert, and 21 Savage. This one shall be enjoyed by the kids and the streets alike. Initially noticeable for the shrillness of his voice, Ralo's movement has continued to blow up due to his motivational energy and the authenticity of his street tales. Little needs to be said about the three others at this point -- they each have mastered the art of conveying pure feeling. Uzi, hot off the release of The Perfect Luv Tape, stomps the f*ck outta this hook. "Flexin on Purpose" is produced by the red-hot Ricky Racks, whom is expected to appear on Thug's forthcoming Jeffery mixtape. Diary of the Streets II is set to drop on August 30. Download the original here.